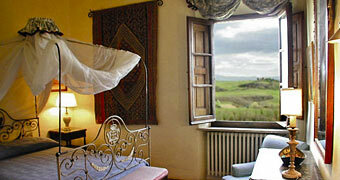 Situated on the Via Cassia, just a few kilometers from Cianciano Terme, one finds Pienza. 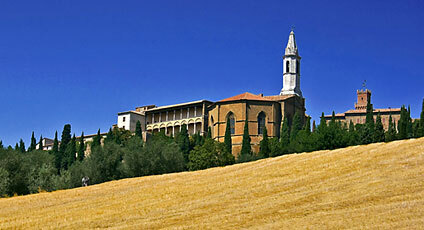 Like Castiglione d'Orcia, Montalcino, Radicofoni and San Quirico d'Orcia the city is part of the Val d'Orcia. 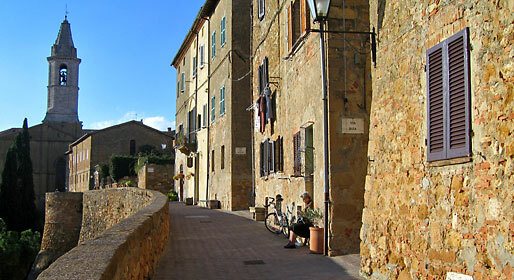 Pienza is known for its historical ties with Enea Silvio Piccolomini, who became Pope Pio II in 1458 and transformed Pienza from a small Medieval village into an elegant Papal residence with architecture typical of the Renaissance period. 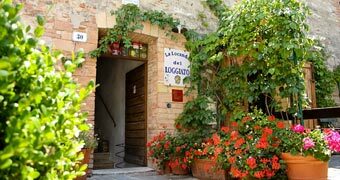 Even the shortest of visits to Pienza should include a walk along the town walls and an exploration of the historic center, with its perfectly preserved Renaissance buildings, such as Palazzo del Tesoriere, Palazzo Lolli, the Cathedral of the Assunta, Palazzo Piccolomini, Palazzo Borgia and Joffroy, Palazzo Comunale, Palazzo Ammanati, the Parish Church of Corsignano. Local delicacies include the Cacio pecorino cheese which can be tasted and bought in almost all of the shops in the town.